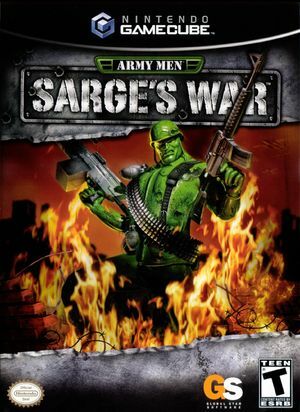 Army Men: Sarge's War is a 2004 game in the Army Men video game series. It was the first game in the series to be created by Global Star Software instead of series creator 3DO and the last game to follow the series. The game is more mature than earlier games in the series. Sarge makes no comical moves, holes are blown into soldiers, and the weapons are also made of metal. Doesn't load 1st level when making a new game. Fixed by 5.0-560. The graph below charts the compatibility with Army Men: Sarge's War since Dolphin's 2.0 release, listing revisions only where a compatibility change occurred. This page was last edited on 14 January 2018, at 12:41.